Fresh from the press: IAML's new brochure! 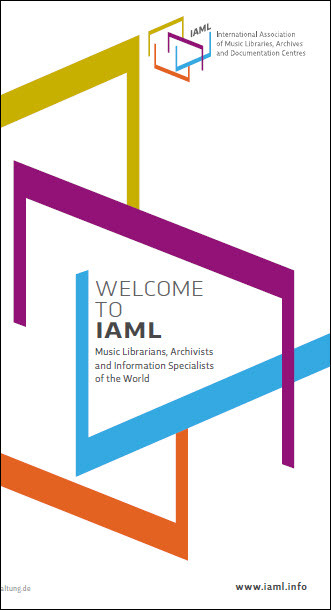 I am happy to announce that IAML now has a new brochure with updated information, reflecting the many changes that have taken place within our Association during the last years. The designer of the brochure is Anja Waldmann, WALDMANN . Büro für Gestaltung, who also has created our new logo. The brochure is available for downloading on the IAML Website: http://www.iaml.info/brochures. Versions set up for larger print runs in A4 and US letter paper sizes are available on request to the web editor. I hope you will like it as much as the Board members do!